Humility, Integrity, Compassion, Hardwork – these are the four words that represent the HICH South Africa brand. The Port Elizabeth mother-daughter trio launched the company on 15 December 2017. 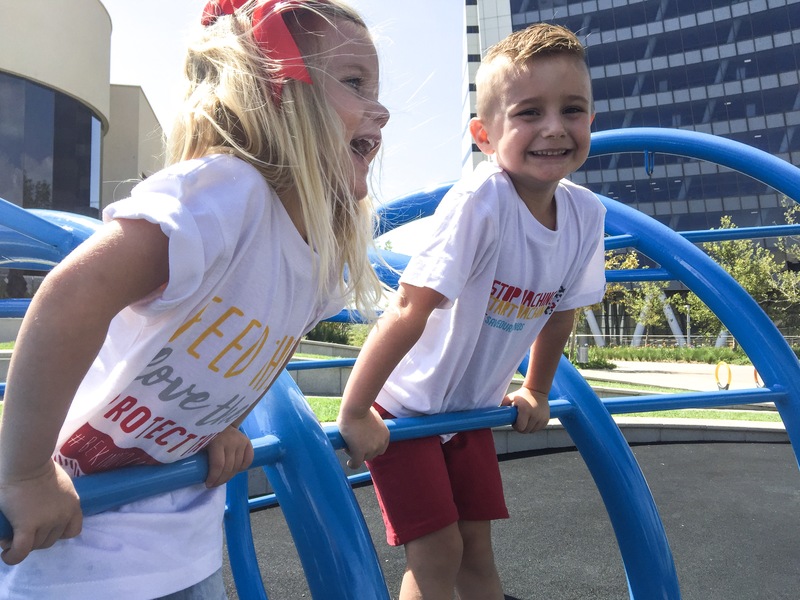 Founded by a family who are deeply passionate about the well-being of animals, they design quirky kids t-shirts with the main aim of bringing awareness to animal cruelty. A portion of their profits go to various local and national animal shelters and wildlife organisations. We have two dogs, three hamsters and two fish tanks at home – although if my kids had their way we’d have additions of bunnies, cats and who knows what other creatures. Oli and Soph absolutely adore animals! Towards the end of last year Oli learnt about rhino conservation at school. He was absolutely devastated to learn that people were killing these majestic animals for their horns. He begged me to stop the ‘evil poachers’ and declared he would ‘save our rhinos’. His beautiful heart and sheer determination is exactly what we need to see in our younger generation in order to save all the species facing extinction. When HICH South Africa asked me to choose a t-shirt for each of my children to review, there was absolutely no question as to which to pick for Oli. Currently, there is a range of 8 designs – with slogans such as “Adopt, don’t shop. #supportlocalanimalshelters” and “Be kind to animals. #protectourwildlife”, with plans to add more designs. The range starts from age 3 up to age 12 and the designs retail for R220 each. They’re a bit of a bigger fit than some of the slim fit t-shirts on the market, but are beautifully soft and excellent quality. By purchasing one of their t-shirts, you’re giving back to animals in need at local shelters and helping to raise more compassionate, conscious children – who needs an excuse to shop? Shop the designs here.